Proposal Creates Strongest Back-Up Power Law in the Nation for Critical Gas Stations. Albany, NY - February 20, 2013 - Governor Andrew M. Cuomo today proposed new legislation to protect New Yorkers from gas shortages during natural disasters. 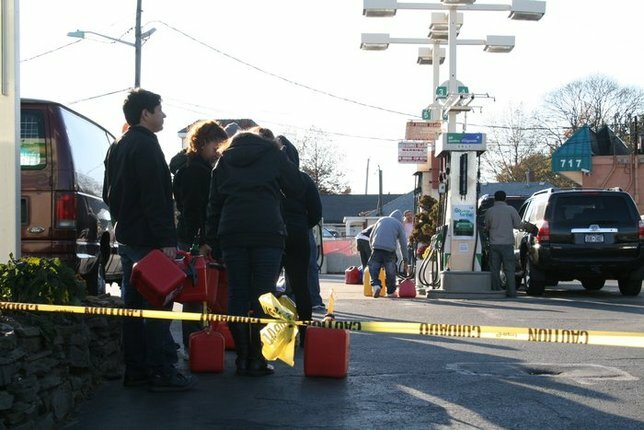 This legislation would create the strongest back-up power law in the nation for critical gas stations, preventing long lines and station closures in the event of power outages. The proposed legislation builds on the initial recommendations from the NYS Ready Commission that Governor Cuomo empaneled late last year, and it was developed with input from local government officials and private-sector service station owners. It will be submitted to the Legislature in the 30-day budget amendments. All gas stations within a half-mile of highway exits and hurricane evacuation routes will be required to have a transfer switch installed by March 1, 2014, and to deploy and install a generator within 24 hours of losing power during a fuel supply or energy emergency. A transfer switch means a station is pre-wired to hook-up a back-up generator to power the pumps and other critical equipment. This requirement applies to approximately one-third of all gas stations in the state. In addition, gas station chains with 10 or more stations under common ownership in any region of the state will be required to install a transfer switch for an additional 50% of their stations by March 1, 2016, and must deploy and install a generator to these stations within 48 hours of losing power during a fuel supply or energy emergency. This requirement applies to an additional approximately 15% of gas stations. As of March 1, 2014, all newly constructed gas stations or gas stations that have major renovations will be required to have a transfer switch or back-up generator installed. Approximately half of all gas stations in New York will be covered by these back-up power requirements. Small gas stations will be eligible for an exemption under the law. To protect the public without placing an unfair burden on service stations – many of which are small businesses – the Governor’s proposal provides grants of up to $10,000 per station to help gas station owners install a transfer switch and/or purchase a back-up generator. These resources will come primarily from federal mitigation funds. If enacted, the new law will supersede local ordinances and regulations, creating one set of rules so that the public can have confidence that enough gas stations will have back-up power while providing predictability for the private sector. A gas station that fails to have a back-up generator in place will face a penalty of up to $2,000 per day. The penalty will not apply if the gas station was unable to have back-up power because of factors like the roads being closed to protect public safety or the station being inoperable due to damage or flooding. To view the Gas Station Map, Click Here. Subject: LongIsland.com - Your Name sent you Article details of "Governor Cuomo Proposes Legislation to Protect New Yorkers from Gas Shortages in Natural Disasters"